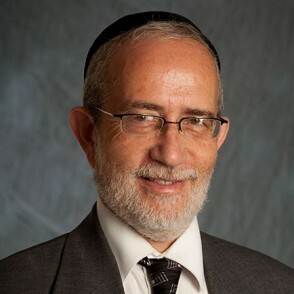 Rabbi Herschel Reichman is a rosh yeshiva and the Bronka Weintraub Professor of Talmud at the Mazer Yeshiva Program/Rabbi Isaac Elchanan Theological Seminary of Yeshiva University. Rabbi Reichman considers himself primarily a student of the Rav, Rabbi Joseph B. Soloveitchik. However, Rabbi Reichman officially received his semikha (rabbinical ordination) from Rabbi Moshe Feinstein, with whom he studied Jewish law in a private tutorial. Rabbi Reichman is known for his passionate support of Religious Zionism. Rabbi Reichman has authored five volumes of Reshimos Shiurim, which are lucid notes and explanations of Rabbi Soloveitchik’s lectures on specific sections of the Talmud. These include the mesechtot (tractates) of Sukkah, Shavuot, Nedarim and Bava Kamma. Additionally, Rabbi Reichman is a teacher of Hasidism, and is particularly fond of the philosophy of the Shem Mishmuel. Rabbi Reichman gives a weekly shiur at Rambam Mesivta in Lawrence, N.Y. Rabbi Reichman received a BA from Yeshiva and a PhD in operations research from New York University.